Look at these adorable little metal tins!....Perfect for that single ball of Perle cotton thread. 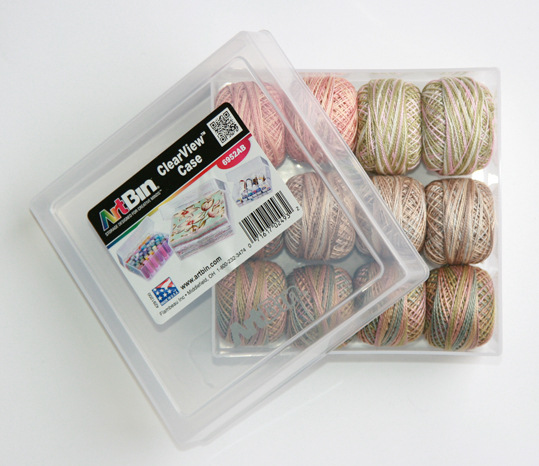 Keep it safe for on the go projects or store individual rolls and admire them through the clear lid topper ...OR ... be creative and store tiny little wool scraps and wool pennies or perhaps even pins. Just another fun little storage idea from Nutmeg Hare for those precious threads and "needfuls" that we all love!! It's new scissor time at Nutmeg Hare! 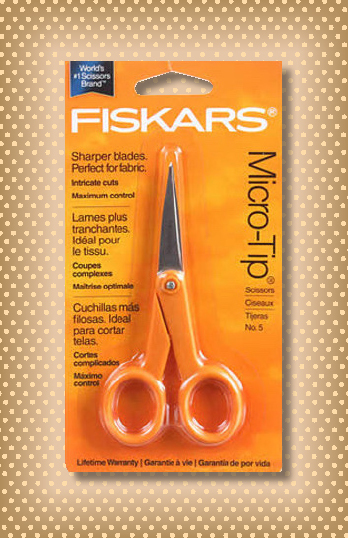 What a great little pair these Fiskars 5" Micro-Tip scissors are. Perfect for intricate detail cuts, getting in those tight spots, and best of all they cut all the way to the tip. What did I ever do without them? Well, no more need to ponder on that question as they are such a welcome addition to Nutmeg Hare's or for that matter any scissor collection! High grade, precision-ground, stainless steel blades for long lasting sharpness. You will love them! With a love for all things stitching related, Nutmeg Hare definitely adores scissors of all kinds. 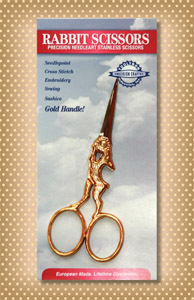 Hence when it comes to both beautiful and useful, Gingher scissors broke the mold. 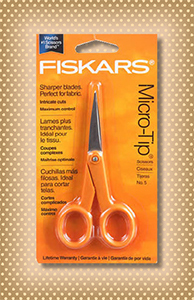 Trimming fabrics and threads and snipping those loose ends is easy-peasy with these spring- action nippers. The finger loop provides stability for control while the sharp point reaches easily into tight spots and can pull threads up for cutting. The double plated chrome over nickel blade finish is shrinking and durable. 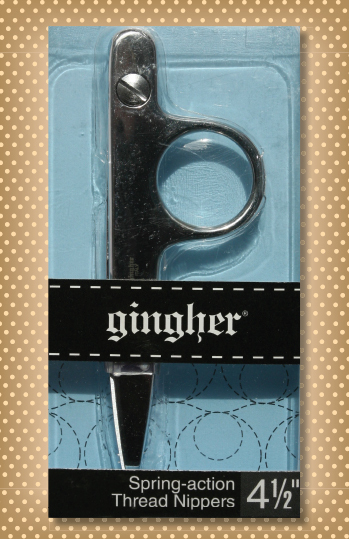 Enjoy your nippers for a lifetime of stitching delight! Nutmeg Hare's obsession for scissors and all things stitching related continues with this lovely antique embroidery scissor gift set. These 4" embroidery and needlework scissors have a fine and sharp point for precisioncutting, making them ideal for appliqué and needlework. Also included is a sweet metal heart pendant thread cutter to make up your "the perfect set". Nutmeg Hare is a fan of scissors as you may already know. One can never have too much thread nor too many scissors! SO I would like to share the PERFECT scissors (as well as my favorite) for cutting those tiny intricate wool pieces with ease. Gingher classic 4" embroidery scissors with leather sheath are a double plated chrome over nickel plated finish for both durability and striking shine. I really don't know what I would do without my best-est little scissors! AND they are also the perfect size for your take along projects. It's no wonder that Gingher is recognized as the premier line of cutting tools! 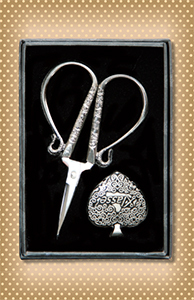 Nutmeg Hare not only loves wools, threads, buttons, and stitching needles, but wonderful scissors as well! 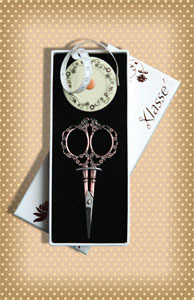 So... to satisfy the scissor collector craving we have the wonderful Klasse antique scissor and tape measure set. These 4 1/2" antique scissors and 60" retractable fiberglass tape measure with magnetic back are not only pretty, but also handy for your stitching adventures. Packaged in a lovely gift box, choose to treat yourself, or choose to share this ideal stitcher's gift with a friend....That is only if you can part with it! Welcome to Creative Stitching! 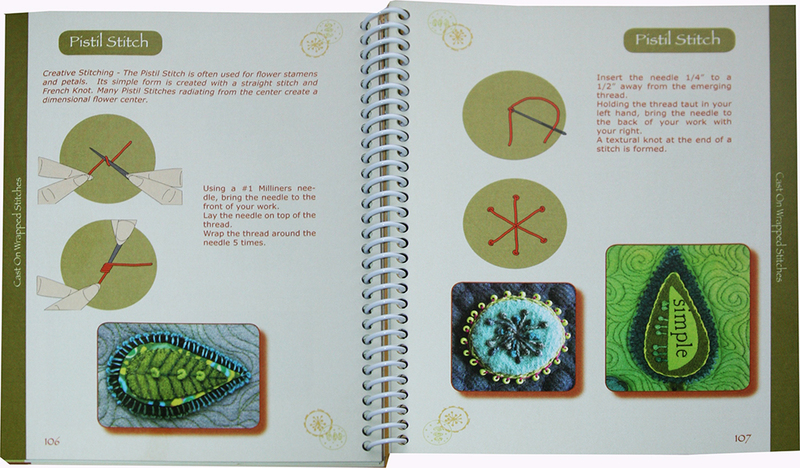 Nutmeg Hare loves having fun with needle and thread and this book is all about learning and creating beauty. 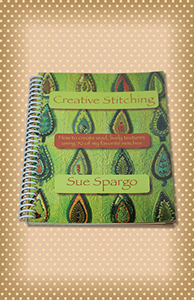 Step by step instructions along with concise illustrations for 50 of Sue Spargo's favorite stitches...168 pages of pure joy! The close up color examples of stitches will inspire and excite you to practice and learn many new stitches. 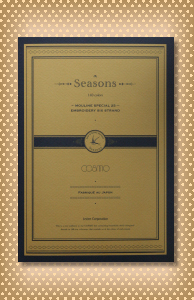 Conveniently sized at 6" x 7 1/2", this softcover spiral bound book is a perfect take along in your favorite stitching bag. From circular stitches, dimensional stitches, outline stitches and more, learn and create your own gorgeous pieces of handstitched art! basic stitches that are combined in over 400 embroidery designs. 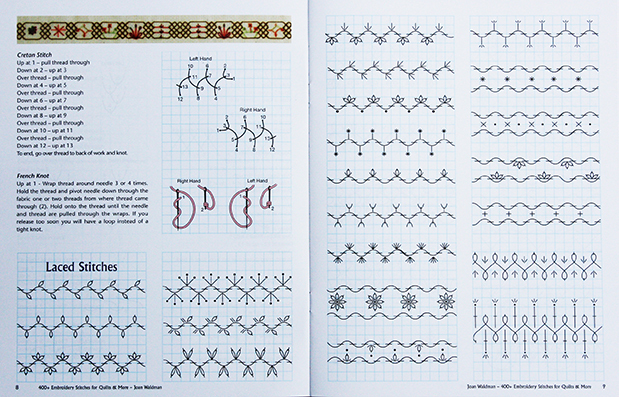 Presented to you in a "grid" format, each stitch is iillustrated for both right and left handed stitching. 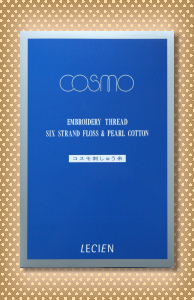 Upon learning basic stitches, follow the "Symbols" and you can create gorgeous combinations. You will be amazed as to how much you will obtain from this book, and what a fun additon to have in your collection of resources. Oh to add to the "library of stitching" sometimes means to add a new shelf too ... Nutmeg Hare loves stitching related guides, leaflets, books, and all the beautiful words and photos in between. " Hand Embroidery, Stitches at-a-glance" features complete step-by-step how to for 30 favorite embroidery stitches Also included are dozens of embroidery stitch options to inspire creativity, along with tips and techniques. 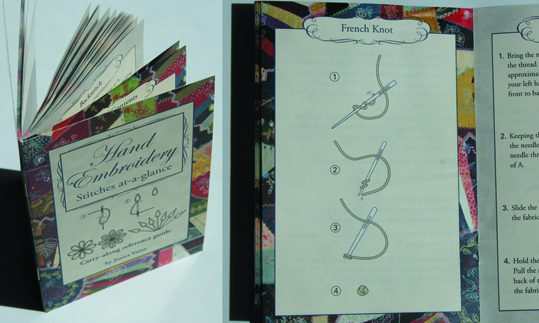 This adorable little 4" x 6" booklet is 64 pages of none other than stitching heaven! Nutmeg Hare discovered a handy dandy Valdani perle cotton ball storage case ...of course it is not necessarily just for thread, but when I came across these cute little cases, the 5" x 5" x 2" size turned out to be perfect for storing up to 12 lovely Valdani perle cotton balls. 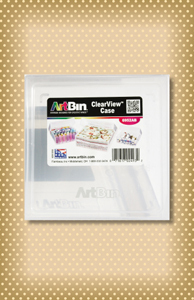 Organize, store and at the same time still see what is inside through the translucent clear view material. The lid slips on and off easily, and if you have several cases of threads they stack quite nicely. Other ideas not to be dismissed for the Art Bin Storage case are...It's the perfect little container for small "Woolies". Nutmeg Hare has found another fun little "needful" for your stitching collection. 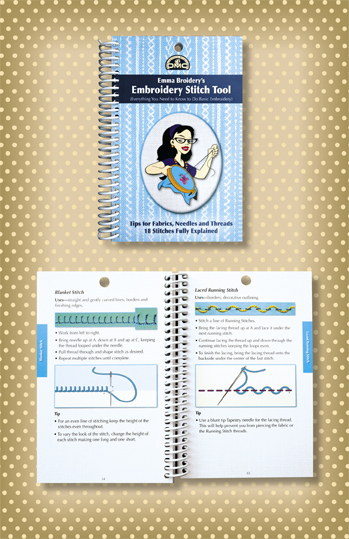 Equally as wonderful as the Embroidery Pocket Guide offered at Nutmeg Hare, the Crazy Quilt Stitches Pocket Guide folds out in the same popular accordion style manner. This handy laminated reference guide offers you a variety of basic embroidery stitches, variations, and also combinations to be used as seam coverings for crazy quilting. get the scissors a-working and cut out your woolies. needfuls. Heat'n Bond Lite iron on adhesive sheet measures 17" x 1.25 yd. 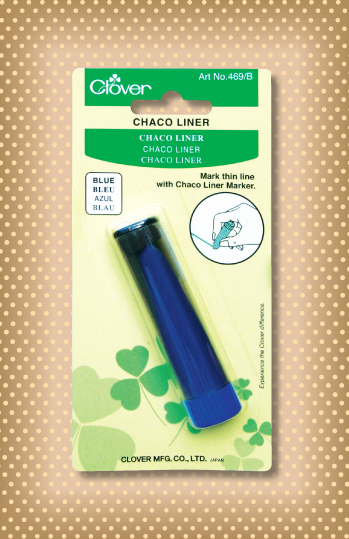 The wonderful Chaco marking tool chalk style is now available in blue as well as white. It is the ideal way to make markings or trace patterns on light fabrics or woolens, and works especially well for tracing the snow opening when you begin the Nutmeg Hare design "On a Snowy Winter Night". 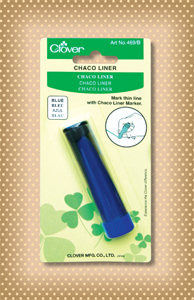 The Chaco blue liner is another favorite for my caddy of "Notion Needful Loves". Nutmeg Hare's obsession with needles continues...One can never have enough choices, so of course it is a necessity to share the wonderful Bohin chenille needles with my stitching friends. These high quality nickel plated steel needles made in France are PERFECT for wool applique perle cotton sttiching time. 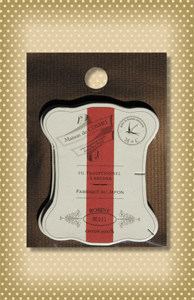 The size 22 needle has the ideal sized oval eye making sizes 5, 8, and 12 perle cotton threads a charm to use. 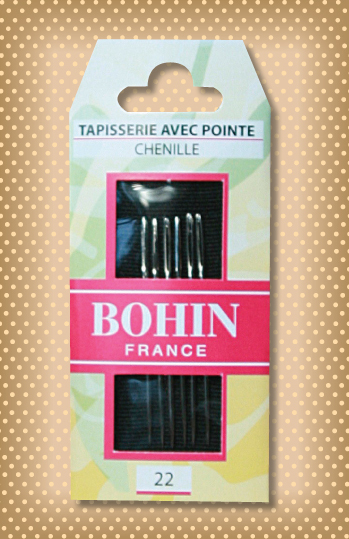 Available in a package of 6 sharp and easy to handle needles, Bohin Chenille needles are definitely a Nutmeg Hare "notion needlful love". Nutmeg Hare is forever in the search of more fun "stitchin' needfuls" to offer to all my wool and stitching friends. Therefore...add to the "found" list these wonderful John James fine quality Embroidery needles in assorted sizes 5/10.. AND...they come to you in their very own dusty pink "pebble". Designed to store your hand needles safely, the pebble makes them easy to find in your project bag. 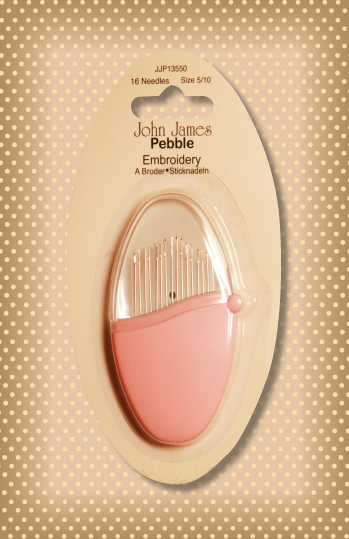 With 16 needles inside the cute little pebble the stitching fun never needs to end. 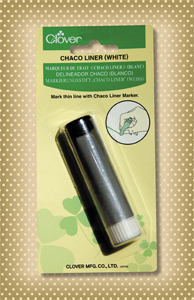 Chaco Liner Pens are a wonderful marking tool and come in so handy for stitching projects. This blue pen style "notion needful" works nicely for tracing lettering on light colored wools as with the "Merry Christmas"lettering on Nutmeg Hare's "Runaway Rudolph" design. And... of course Chaco liners in any color make a nice addition for the notion caddy. Look what Nutmeg Hare is so excited to have found!.....These adorable little rabbit scissors to represent the Nutmeg Hare bunny. The 4" stainless scissors are European made and come with a lifetime guarantee free from defects in material or workmanship. 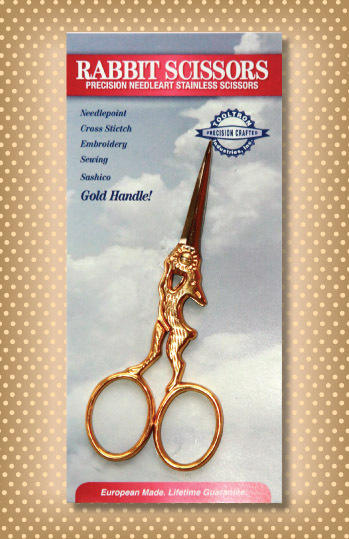 What a wonderful pair of little gold handle scissors for your embroidery and wool applique fun. I may even decide to tie a pretty brown and green Nutmeg Hare bow and add them to my ornament collection. Needles are just another fun stitching goodie to collect...and when I saw this fun little case with a variety of needles inside, I had to share it with my stitching friends. 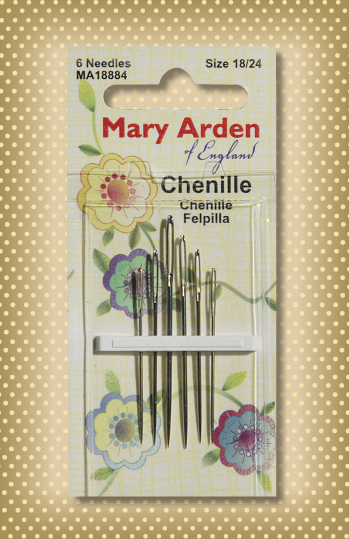 This wonderful little "pebble" contains a set of 6 chenille needles sizes 18/ 22 ideal for threading perle cotton threads. The adorable misty gray snap-close case makes it easy and convenient to take with you and secures your needles while away. John James Pebble chenille needles also makes a great gift for your stitching friends. More needles for your collection so that you are sure to have just the right one on hand! 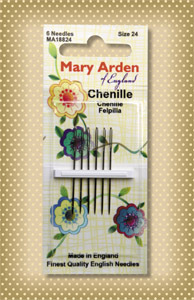 These Mary Arden fine quality English needles are offered as a convenient package of 6 chenille needles in assorted sizes from 18/24. Choose the needle eye size that will work for you....Perfect for perle cottons in varying weights. Variety in needle choice is the key to enjoyment and ease in stitching. Threading a needle can surely be a simple task! Find more Nutmeg Hare embroidery and chenille needle choices under "Stitchin Needfuls" and make sure to keep several packages on hand...For those needles that just seem to vanish into thin air. 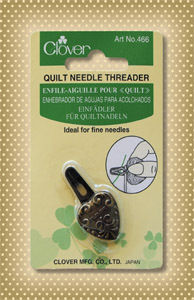 Clover needle threader to the rescue! 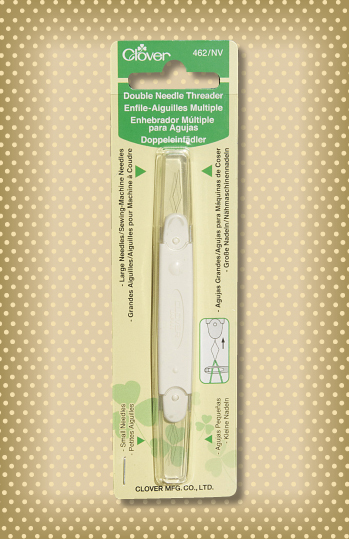 This handy double needle threader makes life easy with one end for small needle eyes, the other end for larger eyes. Measuring 4.4" from end to end with protective covers, it's easy to find amongst one's gadget collection and easy to pack along in the "on the go" bag. A great "needful"! Embroidery floss, perle cotton, and threads galore are among Nutmeg Hare's favorite things. And if you add a bit of "vintage" in any way or form, it is even better....Hence, I could not resist offering my stitching friends the vintage style and charm of this 2 pack floss bobbin. Be a stylish stitcher and wind your favorite stitching thread onto your special floss bobbin...OR...make a lovely display with buttons, wooden spools, and various vintage sewing goodies. This is a wonderful marking tool to own! It is the ideal way to trace patterns on dark fabrics or woolens, and worked especially well for pre-marking the light string on "Silent Night...Frosty Night". I have definitely found this liner to be a favorite as the white powder markings can be easily removed. I really don't know what I would do without it! Nutmeg Hare is sharing a secret with you...."The Best Stuffing Ever". This polyester fiber of heavenly softness is the perfect choice for a variety of stuffed projects from stitchery pillows, to woolie pincushions, to Santa's, snowmen, and raggedies... No lumping and bunching...just plenty of fiber soft, soft, soft. Available in either an 8 oz. bag for smaller projects, or the convenient 16 oz. bag for the avid stitcher and stuffer. Due to shipping size and weight, additional shipping charges apply. Nutmeg Hare has many obsessions with wool and stitching, so it comes to no surprise that stitching needles are on that list. Thus we share with you some more wonderful stitching needles that you are sure to love. These Mary Arden fine quality English needles are offered as a package of 6 chenille needles in size 24 which is the ideal size for Valdani size 12 perle cottons that are used in many Nutmeg Hare designs. Of course, variety in needle choice is the key to enjoyment and ease in stitching. You will want to add these for your collection along with the John James embroidery needles that Nutmeg Hare loves. Introducing Emma Broidery's Embroidery Stitch Tool by DMC.. When I saw this cute little book, I knew I had to share it with my stitching friends. Be inspired to enter the world of stitching. What a handy and well done "needful" for us all. Compact in size at 4 1/2" x 7", the spiral ring binding and 47 sturdy coated pages ensure that this book will be a part of the stitching library for years since wear and tear will be a slow process. Everything you need to know to do basic embroidery...18 stitches fully explained....needle and thread tips, general stitching tips, photos, diagrams, written instructions, and many other helpful tips to answer questions you may have . 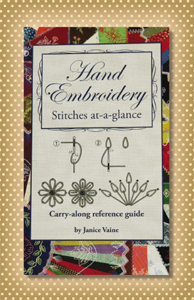 It's the perfect book for the avid stitcher! 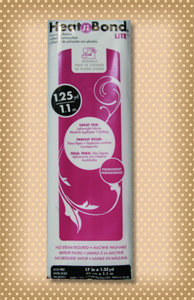 Roxanne glue baste-it is a wonderful product Nutmeg Hare is excited to offer. This applique glue is 100% water soluble, dries in minutes, holds firmly unless you choose to loosen it, and does not feel stiff when dry. It works wonderfully for holding applique pieces down prior to hand stitching and can eliminate the use of pins...Just another option for you to choose because it's so fun to have these choices. This 1/2 oz. bottle is just the right size to grab and take along with your "on the go" projects if needed. 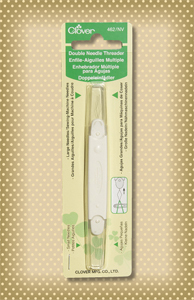 Just for added variety, here is another wonderful needle threading tool. time is not to be compromised, this Clover Quilt Needle Threader will be a lifesaver.....and it's very pretty which is an added bonus. Could that charming heart style emblem possibly stand for "I love stitching"? or how about "I "heart" stitching"? I think perhaps so.... Made of a sturdy special super-fine steel wire, it comes with a black back plate to make the steel wire easily visible and threading a breeze. 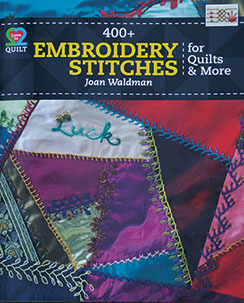 Makes a great gift for your stitching friends, or better yet, a perfect gift to treat yourself. 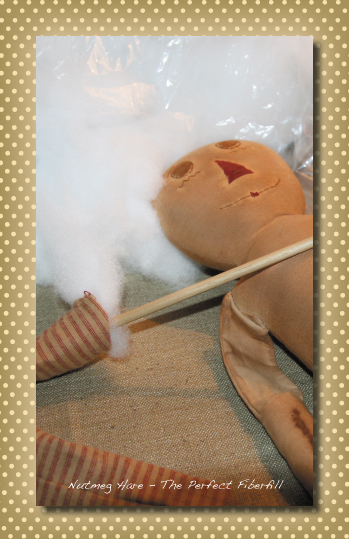 Nutmeg Hare has found a fun little "needful" for you to add to your stitching collection. 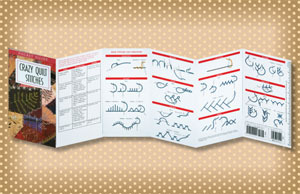 This wonderful laminated embroidery pocket guide folds out accordion style and is quite the handy reference to refer to. 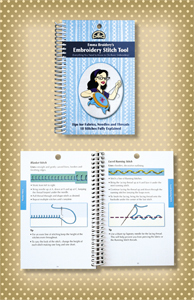 It offers stitching tips and illustrated photos for the most popular stitches. You will also find a printed ruler along the edge if you happen to misplace your tape measure like I always seem to do. Nutmeg Hare just couldn't resist offering more stitching needles for you to choose from. I know....it's a weakness...I see a new needle and I want to stitch with it. Such is the case when I saw these Mary Arden Sharps. .. Another wonderful fine quality English needle, this package of 20 needles comes in assorted sizes 3/9. Variety in needle choice is the key to enjoyment and ease in stitching. You will want these for your collection as well as the John James needles that Nutmeg Hare loves. 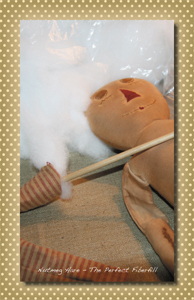 These doll making needles are a "must have" when embroidering your raggedy and santa face features. They are also the perfect choice for stitching on buttons for eyes as well as attaching raggedy's locks, whether you choose braids, curls, or just straight ends. These Piecemaker fine sewing needles, come in my favorite length of 3 1/2", which I find much easier to handle than the really long doll needles. Enjoy the package of three as you will not have to fret when one needle accidentally disappears...and we all know how quickly this can happen. especially for the blanket stitch when attaching the front and back of runners and mats. I also use them on raggedy dolls for handstitching shoelaces or anything else that is the thread size of perle cotton. Threading a needle can be a simple task! Nutmeg Hare offers another "must have" notion for all stitchers and sewers. These most important applique pins are just the right size (2 cm.) for pinning small pieces of wool or fabrics in place. They are especially wonderful when doing intricate applique work on table runners. Boy, what a difference a pin makes. Before finding these, thread would tangle around the longer sewing pins I used for appliquing . And now....well....needless to say....life is easy! These specialty pins come in a great little plastic case. You'll want to purchase two packs. .. One for your travel stitchin' bag and one for your working area at home. Don't forget the hoop....I have found the Susan Bates 4 inch embroidery hoop to be the only one I like to use for stitching. It is just the right size to handle with ease and holds the fabric tightly with it's super grip lip. Yet another must for your stitchin' staples list. For those of you who prefer to use a water soluble marker, Nutmeg Hare has the one you'll love. 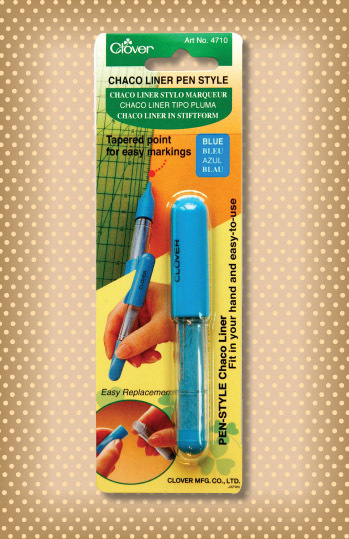 This blue marker is great for marking fine lines on fabric. I use it while working on raggedies and santas, and have found that many of you prefer the water soluble pen for tracing stitcheries as the markings can be quickly removed with water. Why not have all the possible needfuls on hand to give yourself lots of choices. 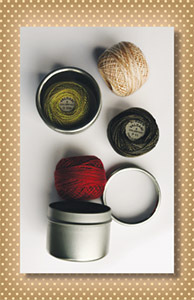 At Nutmeg Hare, I like to offer and recommend all of my favorite stitching needfuls. These are wonderful needles for your stitchery and applique projects. This size 8 package of 16 needles are the fine quality of John James, and are made in England. One can never have too many needles on hand!! 5 to 10. It is often nice to have a variety pack of needles to fit all your needs and you will find these to do just that. Because I love to have a variety of needles in order to choose just the right one for my stitchery project, I am offering these Piecemakers fine sewing embroidery needles for you to purchase. These differ slightly from the John James needles that I also have available, in that they are a bit longer and have a bit larger diameter if you prefer a tad sturdier needle to work with. 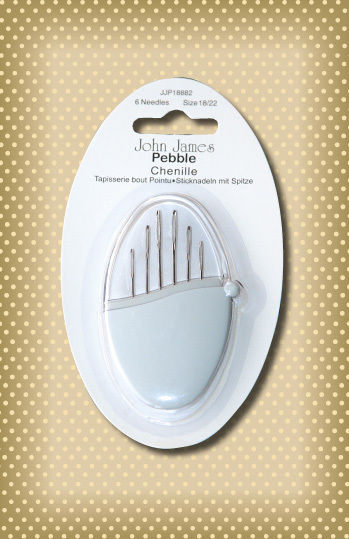 It is really just a matter of preference when it comes to stitching needle choice, which is why I offer both the John James needles and the Piecemakers assorted sizes needles. You may just want to have all three varieties on hand, especially if you are a collector like me! lightweight black nylon frame and sharp tipped stainless steel blades. They have a protective cap with a loop hole that you can thread and wear around your neck. How convenient is that!! Now they won't be misplaced. I actually own several pairs....one for my stitchery bag that goes along with me everywhere, and another for my sewing table, handy to grab. Then there is my new, still packaged, back up pair as well. The phrase "too many scissors" doesn't exist in my vocabulary. You will love to own a pair of these wonderful snippers! Another staple item for all stitcher's. Nutmeg Hare loves scissors! 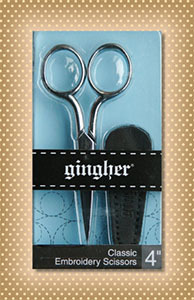 These quality made German brand Gingher scissors are another one of my staple items that I can't live without. They are extremely lightweight with a black molded nylon handle and stainless steel blades. These scissors can be used with both the right or left hand. I find them the perfect size for cutting floss and snipping threads while stitchin'. I also find them so very useful when working on wool applique projects. Because they are both small and very sharp they are wonderful for cutting out tiny wool shapes. These versatile scissors will become a favorite pair for you...just as they are for me! These pigma micron pens are my favorite choice for tracing stitchery patterns onto fabric. They make a very thin line and do not feather or bleed. The brown pen is the best general use pen as the line made with this shade covers easily with most floss colors. The red pen is wonderful if you are tracing a pattern to be done in redwork. The black is my miscellaneous one...I plan on doing a pattern using black floss only, at which time I will use this pen to trace with. These pens are sure to become one of your staple items. This is one of my most important "tools" for doing stitcheries. It is the DMC color card which I can't live without! 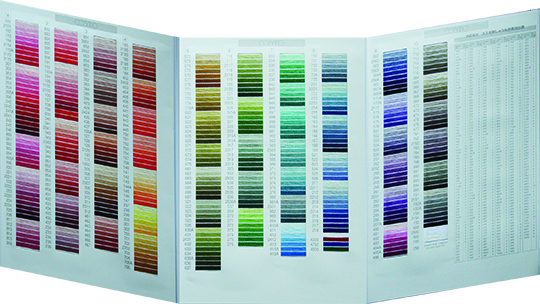 Although this 12 page printed color card includes shades of pearl cotton, satin floss, color variation floss, metallics, and more...it's sole purpose for me is the six strand DMC floss colors. You will find it especially useful if you are stitching away and come to find you don't have a particular DMC color that your pattern calls for. 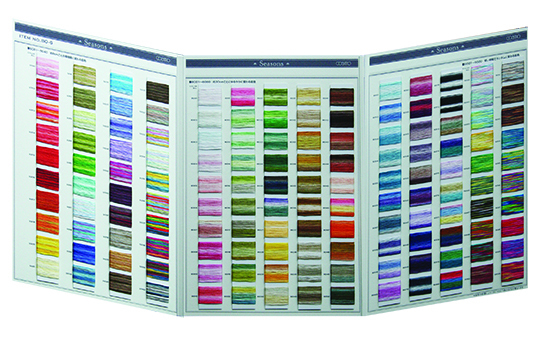 Refer to your chart and substitute a similar DMC floss without changing the overall look of your stitchery. My chart is getting a tad bit tattered....perhaps that's because I use it daily.